Platinum Management College (PMC), established in 2009, has been dedicated in higher education with the prime objective of providing quality and practical education at an affordable cost.The college has been established by a group of professionals, academics and educationist at the helms an has undergone a total restructuring and re-engineering at the quality, system, process and teaching pedagogy. Currently the college is offering Bachelor of Business Administration (BBA), and Bachelor of Hotel Management (BHM) in affiliation to Pokhara University. In near future the college is planning to run MBA and E-MBA, and BCIS programs. “Platinum Management College (PMC) will become a premier management college dedicated to craft innovative Nepalese methods of management to lead global business management practices." Platinum is one of the new leading management and Hospitality College in Kathmandu affiliated to Pokhara University. 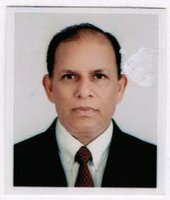 It is a blend of expert in the field of hospitality and management. The college is continuously striving to provide high quality education professional training in hospitality and management, and connection across the globe. It believes that success is all about taking the right steps and that dream can always be achieved. If you are ready to raise professional carrier and explore a world of opportunities chase your dream in Platinum. Platinum Management College is one of the well established and fastest growing colleges in the nation. We congratulate you for selecting this college in order to pursue higher studies in Management. PMC places a strong emphasis on imparting quality education from our highly experienced and qualified teaching faculties to ensure our students right combination of theory and practice that is must to compete globally. We are a team of dedicated professionals academicians and establishes authors. At PMC we consider that we can offer our students a unique and exemplary standard of teaching and learning that focuses the overall development of their personality. we also ensure to provide the students with the supportive and stimulating environment in which they will be encourage d to develop both their personality and professionalism. Discipline, dedication and deligience are the core values of our college. Three Ds are supportive for the students to shape their career as well as to face the growing challenges inn the days to come. This prospectus provides a small flavor about PMC as an unique college. I look forward to welcoming you to our college. Platinum Management College (PMC) prepares students to take challenges in business and management field. In order to harness their practical skills PMC has its Platinum Leadership Academy. With the objective of involving the students in various social and other co- curricular and extra- curricular activities, the college has established various clubs. As a management college. PMC shows its responsibility towards the society. In this connection, the club is organizing various social activities like blood donation, awareness campaign and participation in various social programs. The main objectives of the club is to create awareness about the environmental degradation and protect the environment, which can be handed over to the next generation. The college focuses on developing and moulding the business visionary, entrepreneurial leaders who are the employment generators not employment seekers. In this connection, efforts are being made to create entrepreneurship among the students through coaching and involving them in entrepreneurial ventures. This Club organizes the inter and intra college sports events, exhibitions and festivals. The students holding Intermediate of Higher Secondary Level (+2) / ‘A’ level, or equivalent as recognized by Pokhara University with minimum second division will be considered eligible to apply for the admission to BBA & BHM degree course. An applicant seeking admission to BBA & BHM courses must appear in an entrance examination of two hours’ duration conducted by the college. The student who clears the entrance examination will be called for an interview. Admission of the students will be based strictly on their merit and the enrollment capacity of the college. The students must attend every lecture, tutorial, seminar and practical classes. However, to accommodate for the late registration, sickness and other contingencies, the attendance requirement will be a minimum of 80% of the classes actually held. Those who will not attend 80% of total classes conducted will not be qualified for the Board Examination. The students are given the Platinum Merit Scholarship. The scholarship is provided through competition between the admitted students. Other scholarship are also available for the deserving students as well.